And so it goes, the whole long way down, as the elevator stops on each floor, and at each stop someone connected to his brother gets on to give Will a piece to a bigger story than the one he thinks he knows. A story that might never know an END…if WILL gets off that elevator." 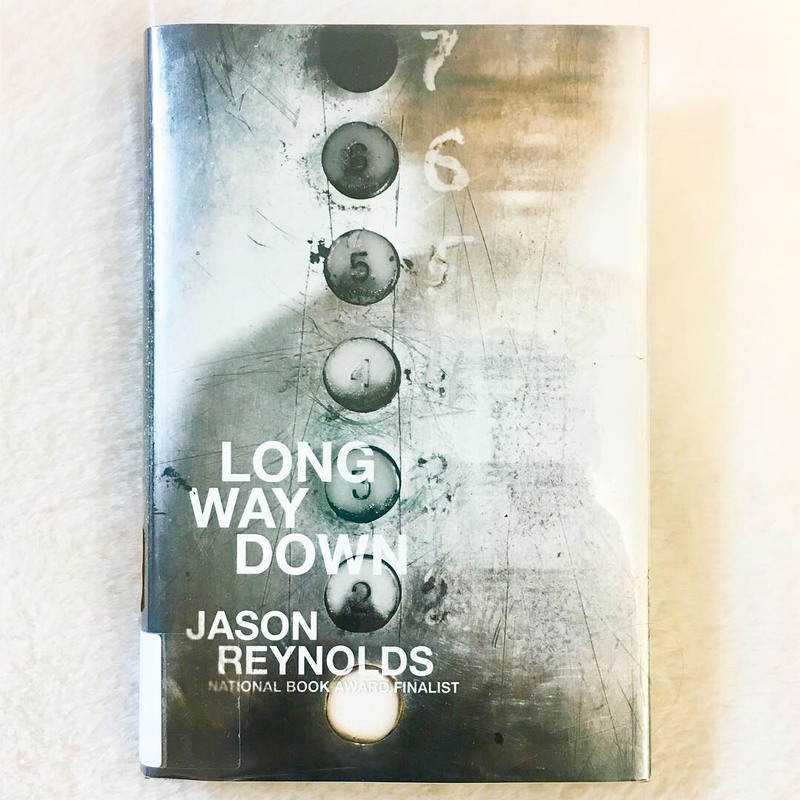 Long Way Down is written in verse form, as fifteen-year-old Will sets out with a gun to seek revenge. The story begins with Will assuring you that what you'e about to read is true. He then tells you of his brother Shawn being murdered. As he thinks about Shawn and his family, he feels compelled to honor "the code" which is to exact revenge on those who wrong you. Getting a gun and leaving his home, Will heads out to do just that. In the last moments before he would commit a crime he can never undo, he steps in an elevator to take the long way down. On each floor, the elevator stops and a different person joins him. These aren't regular people though; each one is a ghost, a person from his past who was killed or affected by gun violence and each has something they need to say to him to try to get him to reconsider the road before him. This book is creative, powerful, relevant, and memorable. 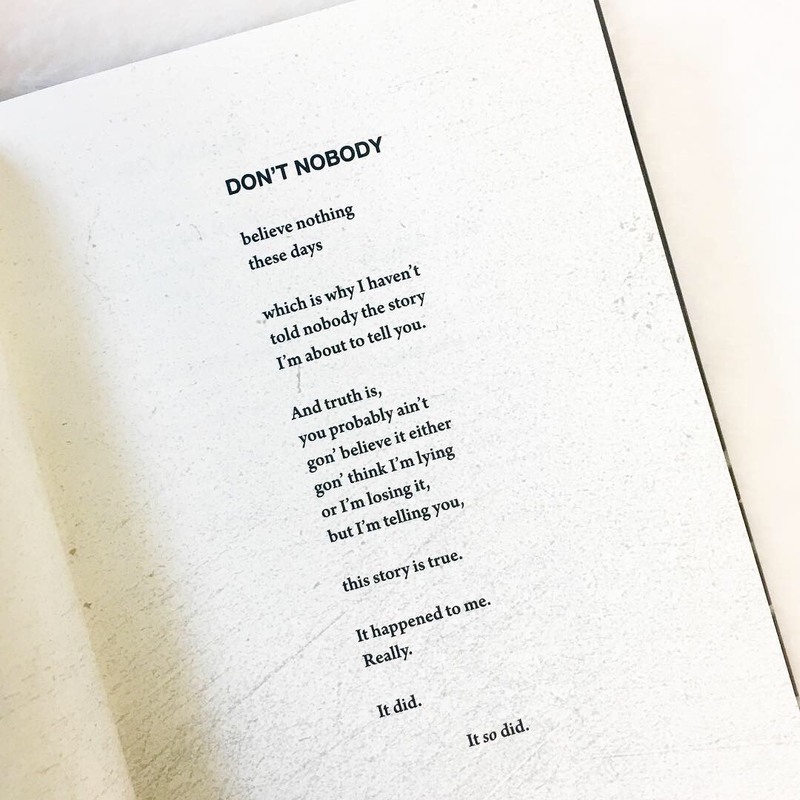 I thoroughly enjoyed listening to the author perform this audiobook, spoken poetry narration and was once again pleased to see a YA author utilizing this genre to reach new audiences.